FIVE YEARS AGO, President Obama hailed the military campaign in Libya that toppled Muammar Gadafhi as one of the foreign-policy triumphs of his presidency. Today he calls Libya his worst mistake. But though he may have changed his grade from an A to an F, his commitment to "leading from behind" — a euphemism for American passivity and abdication — hasn't budged. 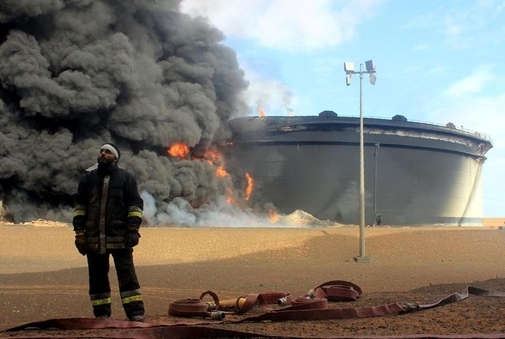 A Libyan fireman stands in front of smoke and flames rising from a storage tank at an oil facility in northern Libya's Ras Lanouf region on Jan. 23, 2016. He was wrong. Libya soon imploded into chaos and violence. It became a terrorist badlands where more than 10,000 people have been murdered — including US Ambassador Christopher Stevens and three of his colleagues, killed by Islamists in Benghazi just 11 months after Obama's "mission-accomplished" moment in the Rose Garden. It didn't take long for Libya to drop off the White House radar screen. "The inattention was not just neglect. It was policy," concluded The New York Times in a lengthy review of the Libyan fiasco earlier this year. The administration imposed "fierce limits" on any US role in Libya's metamorphosis — conditions so strict that America in effect washed its hands of responsibility for the country's fate. Not surprisingly, that fate has been ghastly. It may seem astonishing that Obama, who so harshly condemned his predecessor's blunders in Iraq, would wind up repeating the gravest of those blunders in Libya — namely, not being ready for the instability and insurgency that would follow Western intervention. As military historian Max Boot remarks, by 2011 "it was not exactly a secret that bad things happen if the US and its allies overthrow a strongman without having a plan for what comes next." But Obama is better at deploring other people's foreign-policy messes than at learning from them. 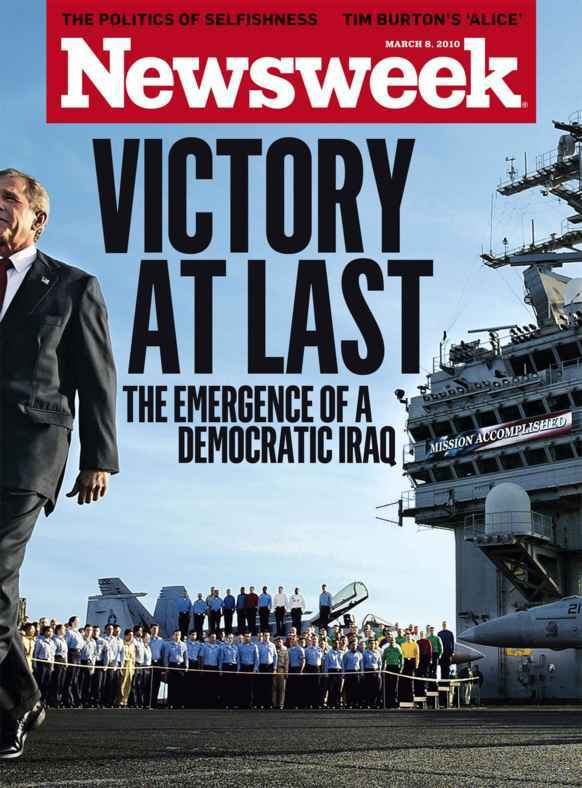 The lesson he takes away from the Iraq war was that the United States has no business intervening militarily in the Middle East — and that the greater the intervention, the greater the resulting fiasco. The facts haven't borne out that conclusion. But Obama won't be budged. Yet even now, Obama cannot see that a doctrine premised on avoiding American involvement in the world's conflicts is bound to fail. A policy built around US disengagement only intensifies global disorder. The president concedes that he should have had a better "day-after" plan in Libya — but still maintains that the calamity his approach caused shows he was right all along. In Goldberg's words, "Libya proved to [Obama] that the Middle East was best avoided." It reinforced his subsequent decision to do nothing about Syria. He has no regrets about abandoning his red line — he says now that he is "very proud" he decided not to stop Assad's horror show. To this day, Obama has not altered the mindset he started with: that American power cannot fix what ails the planet's bad neighborhoods, and is likely to make them worse. Losing the peace in Iraq?